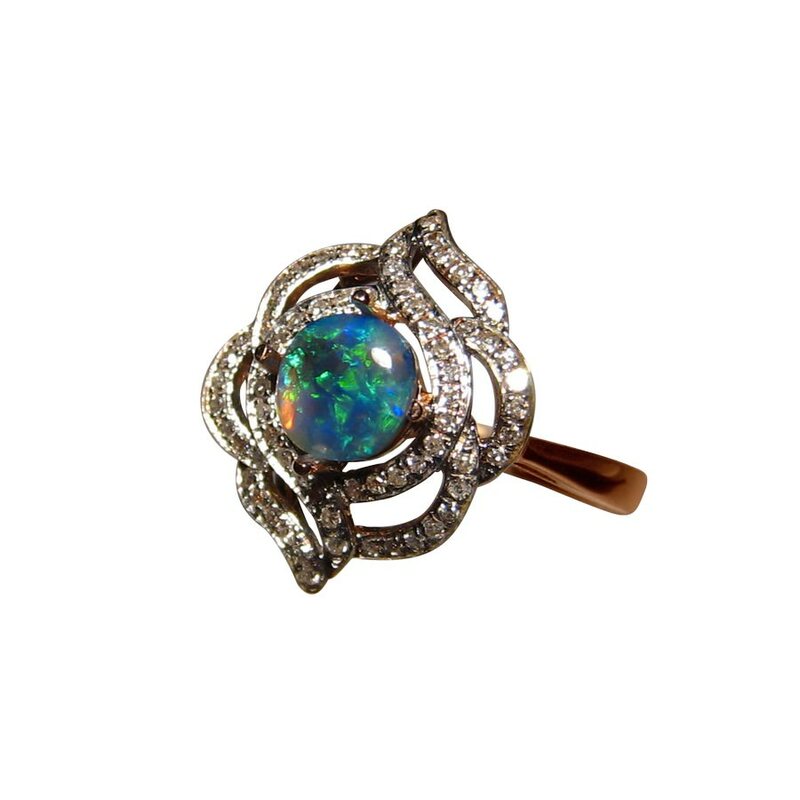 A Black Opal ring in a fancy 14k Gold setting with swirls of bright white Diamonds. In stock and ready to ship. A fabulous ring with lots of diamonds in a fancy cocktail setting. 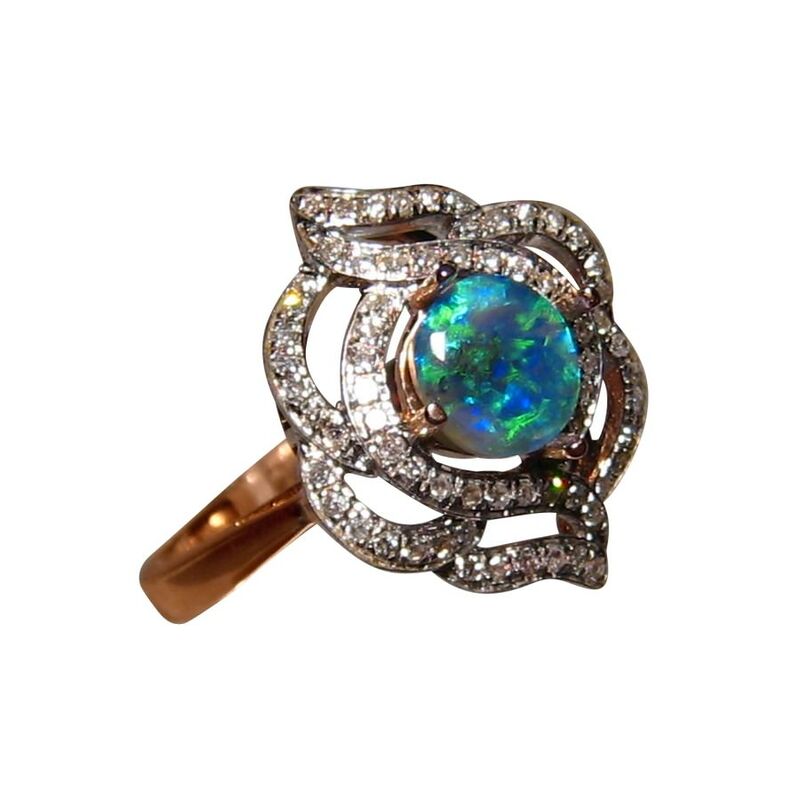 The ring features a round Lightning Ridge Black Opal that weighs just over half carat flashing mainly Blue and the video below will show the play of color, dazzling Diamonds and high shine of Gold. The face of the 14k Gold ring is large at almost ¾ of an inch wide making it impressive on the finger and is pave set with small quality Diamonds for added sparkle. 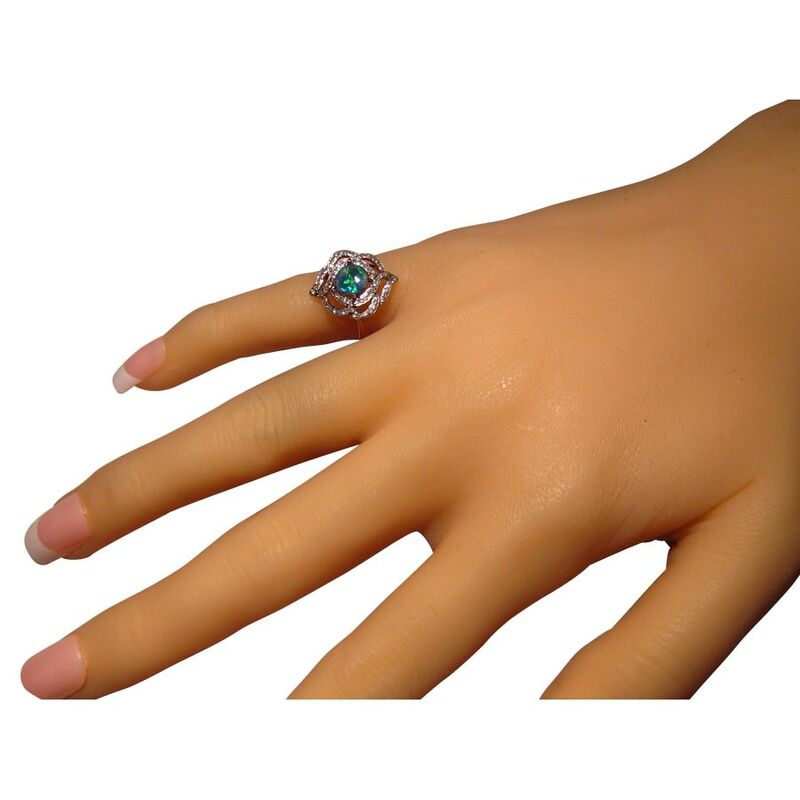 There are no Diamonds on the band giving all focus to the top with the bright colored Opal and dazzle of Diamonds. 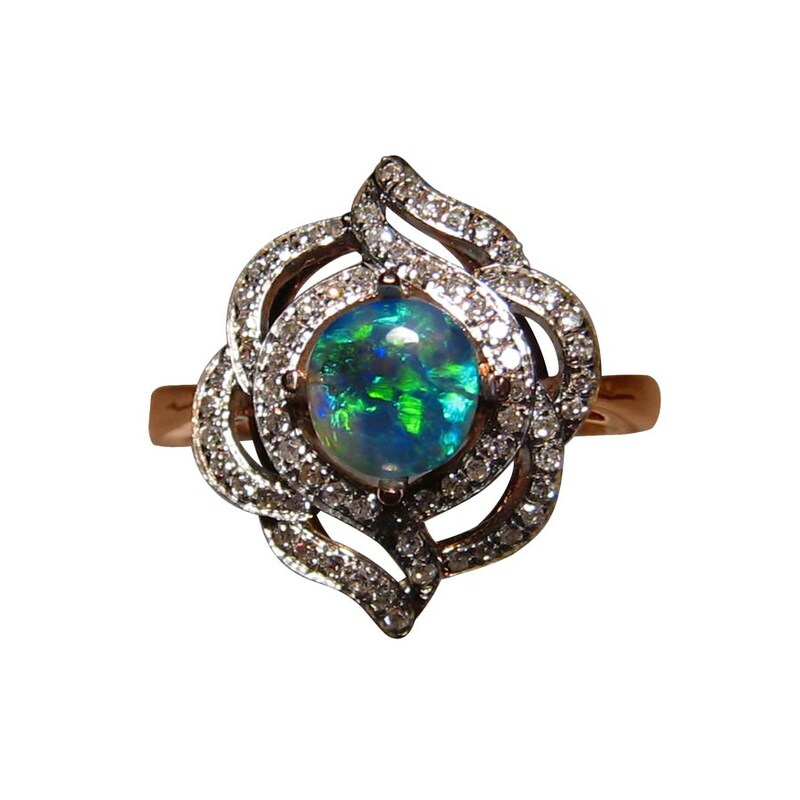 If you like this Opal but the setting is too fancy for you, the stone can be set into a ring or pendant more to your liking and you can inquire through this product for assistance. This ring is ready to ship in 14k Rose Gold in a size 6 ¾ or will take 14-21 days to make in any other ring size or Gold color before this exact Opal is set.